The conference that led to limitations in the era when it was still believed that battleships were the epitome of naval power and a sign of a country's strength. This award winning 2007 film presents a history lesson that most people never heard about: the mass murder of tens of thousands of Polish officers by the Russians in 1940. CBI - China: Day 76 of 154 of the Japanese Invasion of Manchuria. Spain: Day 139 of 985 of the Spanish Civil War. Spain: Day 504 of 985 of the Spanish Civil War. CBI - China: Day 149 of 2,987 of the 2nd Sino-Japanese War. Spain: Day 869 of 985 of the Spanish Civil War. CBI - China: Day 514 of 2,987 of the 2nd Sino-Japanese War. Day 52 of 81 of Japan's Operation GUANGDONG. Atlantic: The German liner WATUSSI is scuttled after being intercepted by South African Defense Force bombers. Eastern Front: First deportation of German Jews into occupied Poland. Finland: Day 3 of 105 of the Russo-Finnish War. Soviet troops capture the port city of Petsamo up in the Arctic Ocean. CBI - China: Day 879 of 2,987 of the 2nd Sino-Japanese War. Day 18 of 381 of the Battle of South Guangxi. ETO - UK: Day 88 of 258 of the Blitz. East Africa: Day 176 of 537 of Italy's East African campaign in the lands south of Egypt. CBI - China: Day 1,245 of 2,987 of the 2nd Sino-Japanese War. CBI - Thailand: Day 63 of 221 of the Franco-Thai War (Vichy France vs Thailand). UK: Churchill introduces a new National Service Bill, including compulsory service for women. Russian Front - Finland: Day 164 of 164 of the Battle of Hanko. The Soviets are forced off their leased naval base in Hanko. To the east, Soviet troops have evacuated the last of the territories in Karelia, taken from Finland in the 1939-1940 Winter War. Russian Front: Day 164 of 167 of Germany's Operation BARBAROSSA. Russian Front - North: Day 86 of 872 of the Siege of Leningrad. Russian Front - Center: Day 62 of 98 of the Battle of Moscow. German patrols are just five miles from the Kremlin in Moscow. Russian Front - South: Day 34 of 248 of the Siege of Sevastopol, Crimean Peninsula. MTO - Libya: Day 237 of 256 of the Siege of Tobruk. CBI - China: Day 1,610 of 2,987 of the 2nd Sino-Japanese War. USA: Professor Enrico Fermi conducts the world's first nuclear chain reaction test at the University of Chicago under the name of the Manhattan Engineering District. 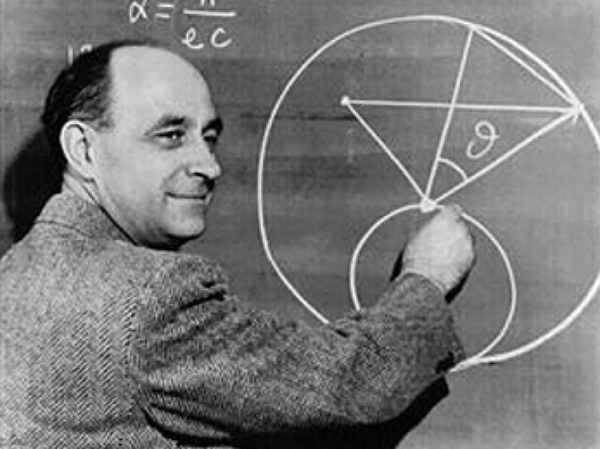 Enrico Fermi was an Italian physicist, particularly known for his work on the development of the first nuclear reactor, Chicago Pile-1, and for his contributions to the development of quantum theory, nuclear and particle physics, and statistical mechanics. In 1938, at the age of 37, he was awarded the Nobel Prize in Physics for his work on induced radioactivity. He became a naturalized American citizen in 1944, primarily as a result of the Manifesto of Race promulgated by Mussolini's fascist regime to bring Italian Fascism ideologically closer to German Nazism. Fermi is widely regarded as one of the leading scientists of the 20th century, highly accomplished in both theory and experiment. Along with J Robert Oppenheimer, he is frequently referred to as "the father of the atomic bomb." He also held several patents related to the use of nuclear power. Russian Front - North: Day 451 of 872 of the Siege of Leningrad. Russian Front - North: Day 14 of 59 of the Battle of Velikiye Luki, near Leningrad. This stalemate does help ease the siege a little, but mostly it keeps German troops from being sent to other fronts. Russian Front - North: Day 212 of 658 of the Siege of the Kholm Pocket, USSR lays siege to the Kholm Pocket but the Germans hold out for a about a year and a half. Russian Front - Center: Day 9 of 21 of the Battle of Sychevka, Russia. Russian Front - Center: Day 8 of 26 of the 2nd Battle of Rzhev-Sychevka, Russia, launched by the Soviets as Operation MARS. Russian Front - Center: Day 8 of 22 of the Battle of Belyi, Russia. Russian Front - Center: Day 8 of 17 of the Battle of Luchesa (Vitebsk), Russia. Russian Front - Center: Day 8 of 29 of the Battle of Molodoi Tud River, Russia. Russian Front - South: Day 103 of 165 of the Battle of Stalingrad, bloodiest battle in human history. MTO - Tunisia: Day 16 of 178 of the Battle of Tunisia. British 1st Army withstands another German counterattack at Tebourba. US 12th Air Force provides air support. CBI - China: Day 1,975 of 2,987 of the 2nd Sino-Japanese War. PTO - Alaska: Day 179 of 435 of the Battle of Kiska, Aleutian Islands. PTO - Malaya: Day 287 of 357 of the Battle of Timor Island, a long guerrilla war ending in Japanese victory. PTO - New Guinea: Day 14 of 66 of the Battle of Buna-Gona. PTO - Solomon Islands: Day 118 of 187 of the Battle of Guadalcanal. UK: Minister of Labour and National Service Ernest Bevin announces a program to send conscripted men to work in mines as coal output continues to lag in Britain. Through 1948, 48,000 "Bevin Boys" will be selected for this vital but largely unrecognized service. 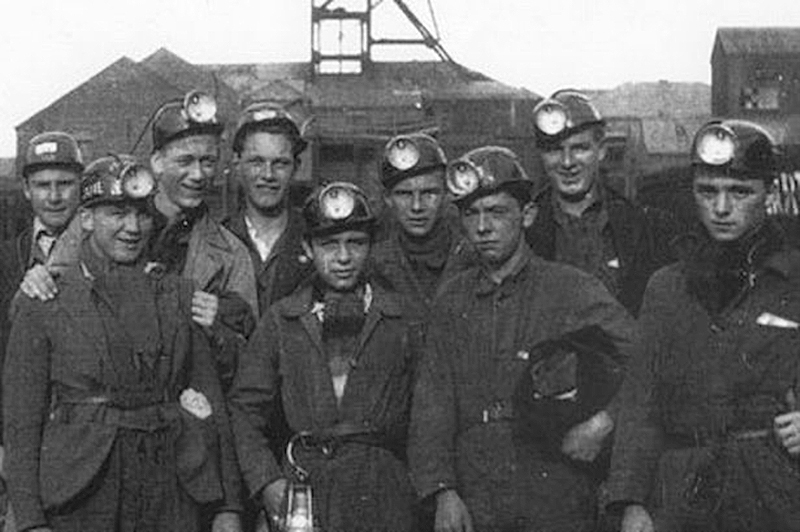 Chosen at random from conscripts but also including volunteers, nearly 48,000 Bevin Boys performed largely unrecognized but vital service in the mines, many of them not released from service until years after WWII ended. Ten percent of those conscripted aged 18-25 were selected for this service. At the beginning of the war the British Government, underestimating the value of experienced coal-miners, conscripted them into the armed forces. By mid-1943 the coal mines had lost 36,000 workers, and they were generally not replaced due to the availability of cleaner work. It became obvious the miners needed to be replaced. The government made a plea to men liable to conscription, asking them to volunteer to work in the mines instead, but few accepted and the shortage continued. By December, Britain was becoming desperate for a continued supply of coal both for the war effort and winter at home. It was decided that some conscripts would be directed to the mines. The colloquial name "Bevin Boys" came from the speech Bevin made announcing the scheme. From 1943 to the end of the war one in ten of the young men called up was sent to work in the mines. This caused a great deal of upset as many of the young men wanted to join the fighting forces and many felt that they were not valued. Many of the Bevin Boys suffered taunts as they wore no uniform and were wrongly assumed to be avoiding conscription which was mandatory for young men in Britain. The program was wound up in 1948. At that time the Bevin Boys received no medals, nor the right to return to the jobs they had held previously, unlike armed forces personnel. Bevin Boys were not fully recognized as contributors to the war effort until 1995, 50 years after VE Day, in a speech by Queen Elizabeth II. ETO - Germany: US 8th Air Force: One B-17 flies an Oboe test over Huls dropping two 2,000 pound general purpose bombs and one photoflash bomb. ETO - Germany: Day 15 of 135 of the Battle of Berlin (RAF bombing campaign). Berlin, the main target, is attacked by 425 Lancasters, 18 Mosquitos and 15 Halifaxes. Unexpected cross winds scatter bomber formations, resulting in much inaccuracy. Germany: Hitler orders the conscription of German Youth for active service. Germany: The first transport of Jews from Vienna arrives at Auschwitz. Russian Front - North: Day 816 of 872 of the Siege of Leningrad. Russian Front - North: Day 577 of 658 of the Siege of the Kholm Pocket. USSR lays siege to the Kholm Pocket but the Germans hold out for a about a year and a half. Russian Front - South: Day 101 of 122 of the Battle of the Lower Dnieper River, USSR. MTO - Yugoslavia: German troops begin a major operation against Tito's Partisans. MTO - Italy: A Luftwaffe raid against the Allied naval base at Bari, hits an ammunition ship which explodes and ends up sinking 17 other ships. The US and Royal Air Forces provides air support for the ground troops. MTO - France: US 15th Air Force B-17s bomb submarine pens at Marseilles. CBI - China: Day 2,340 of 2,987 of the 2nd Sino-Japanese War. Day 31 of 49 of the Battle of West Changde. PTO - New Guinea: Day 75 of 219 of the Battle of Shaggy Ridge. The Australians continue chasing the retreating Japanese toward Wareo. PTO - New Guinea: Day 72 of 162 of the Battle of the Huon Peninsula. PTO - Solomon Islands: Day 32 of 295 of the Battle of the Bougainville Islands. ETO - France: Day 124 of 284 of the Battle of Brittany. ETO - France: Day 79 of 236 of the Siege of Dunkirk. ETO - Germany: Day 75 of 145 of the Battle of Hürtgen Forest. ETO - Germany: The Allied advance into the Saar on the Franco-German border continues. ETO - Germany: US 8th Air Force heavy bombers attack strategic targets at Bingen, Koblenz, and Oberlahnstein. Russian Front - Finland: Day 79 of 223 of the Lapland War. Finland and Russia have joined forces to kick the Germans out of Finland's most northern province. Russian Front - Center: Day 49 of 206 of the Battle of the Courland Pocket in Latvia. Russian Front - Center: Day 42 of 99 of the Siege of Memel, a border town of Lithuania and East Prussia. Russian Front - South: Day 35 of 108 of the Battle of Budapest, Hungary. MTO: US 15th Air Force B-17s and B-24s attack targets in Germany, Austria, Hungary, and Czechoslovakia. MTO - Italy: The US 5th Army has reached south of Bologna. US and Royal Air Forces provides air support for the Allied ground units. CBI - Burma: Day 246 of 302 of the Chinese Salween Offensive. CBI - Burma: Day 19 of 31 of the Battle of Bhamo. The British 11th East African Division takes Kalewa and advance to the Chindwin from India. CBI - China: Day 2,706 of 2,987 of the 2nd Sino-Japanese War. Day 230 of 259 of Japan's Operation ICHI-GO. PTO - New Guinea: Day 341 of 597 of the Battle of New Britain. PTO - New Guinea: Day 225 of 481 of the Battle of Western New Guinea. PTO - Philippines: Day 44 of 299 of the 2nd Battle of the Philippines, aka the Liberation of the Philippines or the Philippines Campaign. PTO - Philippines: Day 44 of 73 of the Battle of Leyte. PTO - Philippines: Day 22 of 41 of the Naval Battle of Ormoc Bay. Japan: 59 Japanese are arrested on suspicion of war crimes. 1943: Shortage of British coal miners forces conscription of 48,000 "Bevin Boys"
The most comprehensive account of the birth of the atomic age, containing documents, essays, articles and the oral histories of key eyewitnesses to the legacy and aftermath of the Manhattan Project. Thousands of British miners enlisted to fight, putting the war effort in danger of grinding to a halt. The answer was to conscript 48,000 "Bevin Boys" and send them down. An unsuccessful young lawyer becomes the Mahatma, the "great soul" and leads 400 million Indians in their struggle for independence from the British Empire. Gandhi's life continues to inspire and baffle readers today.